Well, it’s done. 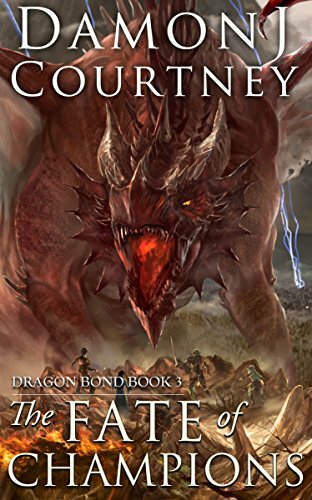 The Fate of Champions, the third and final book in the Dragon Bond Trilogy, is finally out in the world for all to see. This is probably the most exciting book release for me so far because it finishes the story I started three years ago. I’m so thrilled that it’s done, and everyone can now read the whole story. I hope you enjoy it, and expect more from me soon. I have a few new series that I’m working on in Gondril as well as a new series in a completely new world.